When Xander was a baby, a good friend introduced me to the books by Glenn Doman, and therefore, the world of early learning. 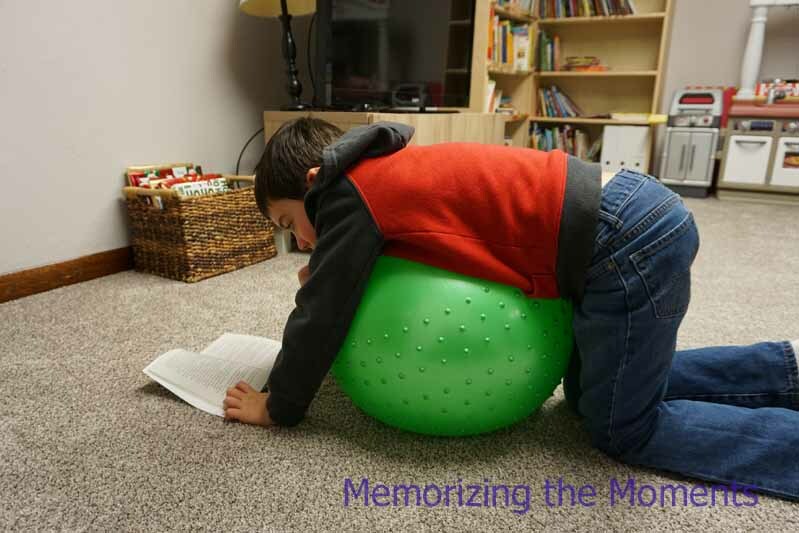 From there, I ate up all the information I could find, joined some early learning parents groups and our activities (and the blog) evolved as I learned. (I've also started writing reviews of several of the books I read that you can check out here). Now with my second baby, I've had some experience and acquired more knowledge about early education. The question wasn't if I was going to teach him to read, it was when and how I would start! Every family is different and each parent needs to decide what works for their family. 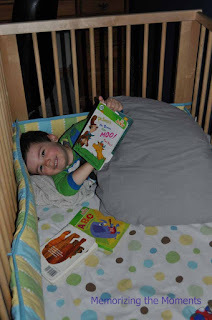 Here, however, are five reasons I'm going to start teaching my second baby to read. First of all, I love having meaningful time with my kids. I love playing with Archer and making him smile. I adore watching his curiosity and effort to learn to do things. 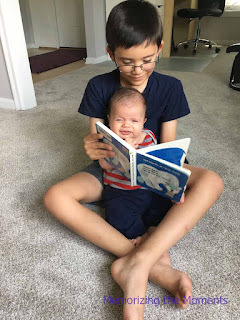 However, little babies are a bit limited in what they can do, so teaching him to read gives us a set of activities that is fun for both of us. He is much happier when he is engaged and I'm thrilled to engage with him in ways that will be beneficial. The time I spent teaching Xander was some of the most memorable bonding time we had. Furthermore, I am very type A. I have to feel productive to be happy. I'm the kind of person that makes myself color coded weekly planner pages and likes to feel like I got a lot done at the end of the day. Being a mother to an infant is kind of the opposite. So much of the day is spent nursing and rocking him, or doing piles of laundry. While these things are important, feeling like he and I had some great bonding time that also taught him something valuable, helps keep me feeling like I accomplished more at the end of the day than a stack of dishes. 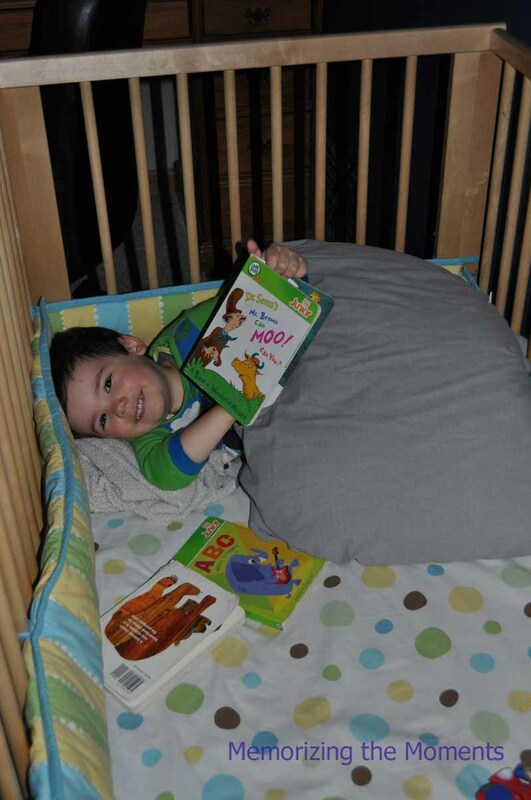 Sneaking books into his bed instead of sleeping. We know from experience that teaching babies to read works. Since testing takes away from the fun, I wasn't sure at first. 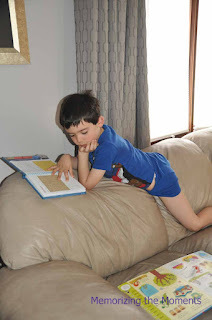 I figured out Xander could read words when he was about 18 months while playing a game, he was reading easy readers by 2 and when he was evaluated in kindergaten, they stopped the evaluation when he reached 5th grade level fluency. 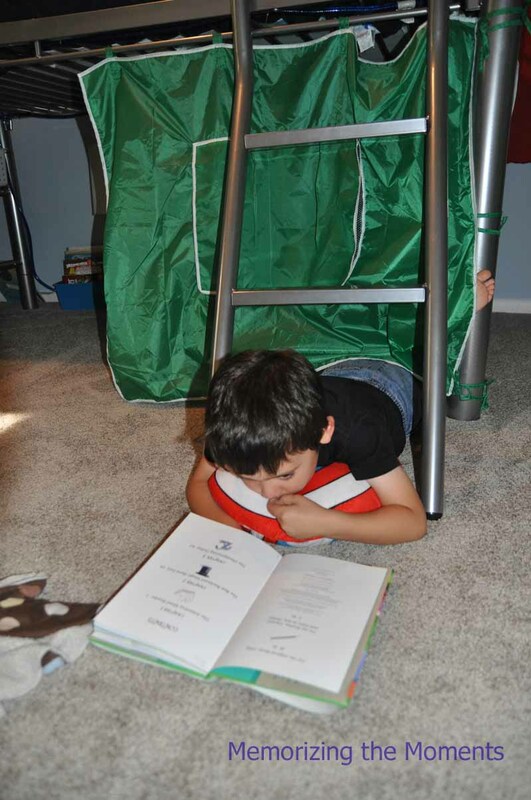 We're not sure where his reading level actually was at the time. Babies are primed to learn language. They learn to speak their native language almost effortlessly. Reading is just another language, arguably an easier one to learn. 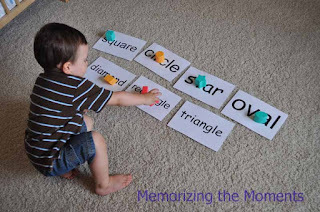 When babies learn spoken language, they have to content with accents, varying volumes and inflections and figuring out where one word ends and another begins. Written language is much more consistent. 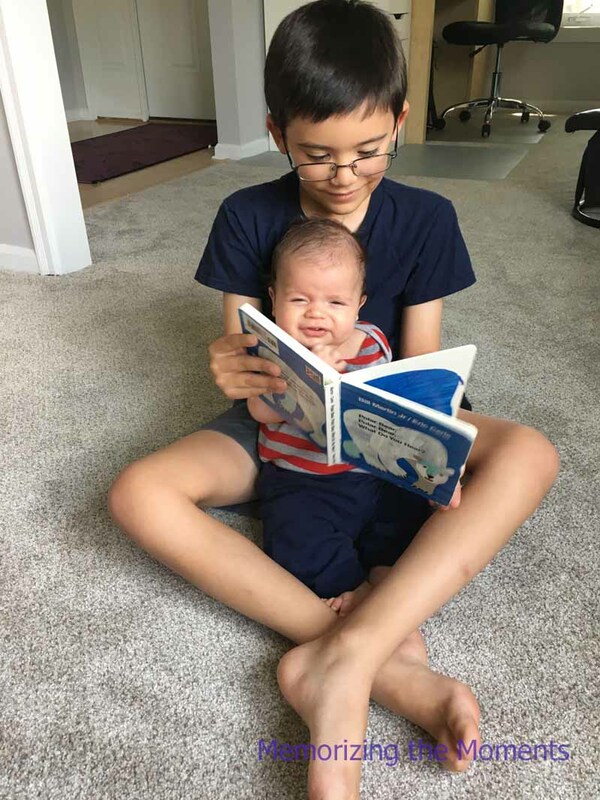 (You can see my post about teaching my first baby to read here). Look at any baby and you will see a tiny human who is constantly learning and exploring. Their brains are learning faster than they ever will again in their lives. The younger they are, the faster they learn. Teaching Xander took some organization, but less than 10 minutes a day (in addition to reading stories together or letting him watch a DVD). He loved it. I literally could not make new materials for him as fast as he wanted to learn them. 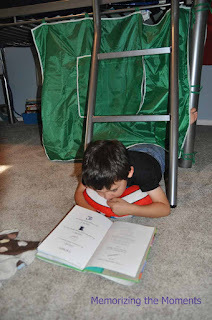 Even when he could read, he still loved watching reading lessons on Little Reader or Your Baby Can Read. I literally had to hide the DVDs. The other nice thing, is the content is so much more age appropriate when the learn as babies. Six year olds aren't that impressed with books about the cat that sat on the mat. Gearing up this time is so much easier, knowing the potential outcome. Xander LOVES to read. He could easily spend hours a day reading and often does. He almost always has a book with him in the car, often takes one when we're on errands or when we have to wait in waiting rooms. He gets so excited about his new books, that when the school book order comes, he pretty much doesn't talk to me for the rest of the night (mixed blessing). 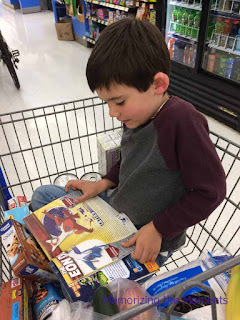 This summer, he received the Heroes of Olympus series and that first afternoon he was pretty upset we made him put down his book to eat lunch. Since then he's read them all again and again. 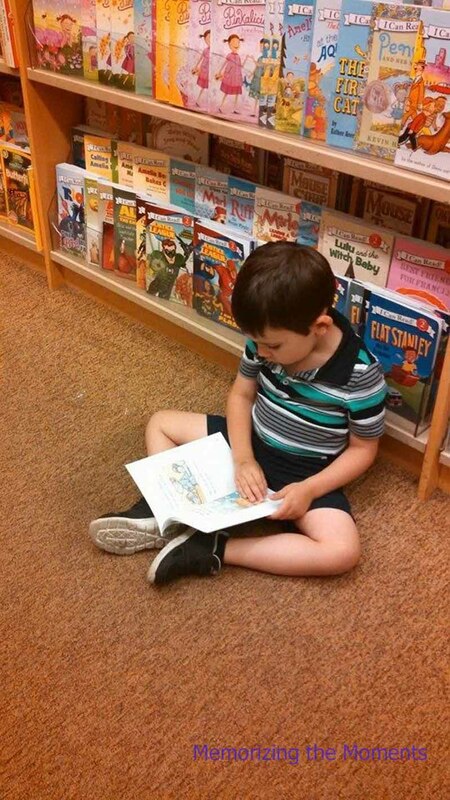 I love watching him get excited about acquiring the next book in a series or our trips to the library. With reports of crazy percentages of kids struggling to read, it is so reassuring to have a who has is proficient. I know it will help him in every school subject. 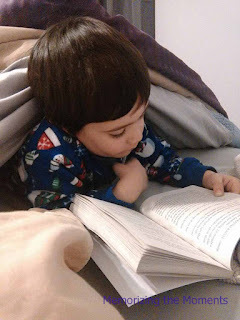 When a child can read independently, they are no longer dependent on an adult to introduce them to stories and ideas (we parents have to get laundry and dishes done sometime, right?). On their own, they can explore a variety of adventures and information, finding their own interests and preferences. I try hard to let him read whatever he likes, as long as it doesn't contain inappropriate content. Sometimes that means he reads graphic novels, sometimes he reads encyclopedias. Xander's head is full of a crazy amount of random facts from reading. When he plays with friends or with toys, he has an imense imagination, because he has so many fantasy worlds from which to draw. His vocabulary is phenomenal for his age, because he was exposed to so new words in his novels. Sometimes stories have sparked an interest that has driven a lot of non-fiction reading as well (like his current mythology obsession). Basically, he had YEARS of extra knowledge that he would not have had if he had waited until school to learn to read.